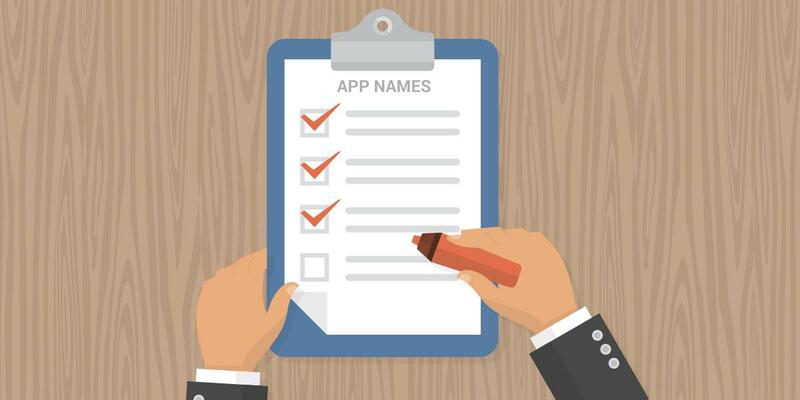 When it comes how to name an app it always similar importance as naming a child because the name of your app will follow your brand forever and in many cases, potential users will hear the name before they use your app. So naming an app isn’t easy as it sounds and knowing how to name an app effectively can separate your app from other competitors. Where Google sounds so cool now but before 20 years would anyone knows that it would be a name we will use it every day? Now when someone says Google everyone around the world knows what exactly it means. Where the names overcome the language barrier, age barrier and every other barrier no matter wherever you are Google is the name that every single person knows. Many successful mobile application development chooses a name which describes what the app does just by hearing the name as you know WeChat is a messaging app or Netflix something to do with video on the net. Sometimes users will judge your app immediately based on the first impression and without reading your app description or having a name which explains the features of your app can give you a significant advantage in this case. So write down every word which comes to the mind when thinking about the app which you are going to bring into existence. By the time you will finish with the brainstorming session you should have a list of words that can be used to come up with the perfect name. There are many successful apps which have managed to find a good one-word name so that the users easily remember them. However, sometimes it's difficult to convey what your app does in just one word and often the word you want to use might already be taken. So if you can’t find the right word and you don’t like the idea of using an acronym, then there are also other ways to find a good simple name for your app. Therefore compound words like noun + noun, adjective + preposition, pronoun + noun, and a phrasal verb, etc. also help you to combine more words into one comprehensive name. You can also stylize your app name in one word even if there are multiple words in reality to make it memorable. Capitalization and lower case help you to keep the simple so that you are not shattering consumers with the abundance of words in an attempt to describe your app better. Just like an idea for your app, your app name has to be unique. It is essential because you will be marketed with that name on all over so take into consideration that you desired name absence in play store doesn’t mean nobody is using this domain on the web and for completing your marketing strategy circle you want a web page with the same title. Devoted app website with a .com domain is a great addition to keep traffic streaming to you instead of competitors. A user always looks for an app which can satisfy their needs. So your app name and design is the first impression that they have of what you are offering. A user often makes their decision quickly based on a first impression. As per the survey conduct, 31% of consumers download an app which is interesting or fun to try. So find a name and design in order to make your app stand out among the crowd. Name always carry meaning, if you cannot find a word which fits your iOS or Android app development then try to take a step back and think of more ideas which are associated with it. For example, a symbol can explain your app better than a single word ever could. Symbols help users to associate your app with a deeper understanding of what it has been created for such as Facebook because when people think of their self-image and the posts, they make their friends can read like a book. Where the name doesn’t explain the social networking aspects of the app, it does convey the users what the app does more abstractly. Your app name could be similar to becoming a brand based on the concepts behind its creation. An attractive logo also plays an essential role alongside an attractive name. So, the logo should speak for itself, and it should tell the story of your app in such ways that its name might not be able to. So when thinking of logo thinks how your users will interpret your app to come up with images which could work on emotions when interacting with an app. Therefore matching your name with an appropriate icon will help to create a powerful and long-lasting impact for your app. A similar logo is a great marketing tool so it’s good to spend some time and come up with ideas which can help to design a logo. Group a number of people for testing your MVP work. Let them interacts with it for a set of a period by trying out all the given features which it has to offer. Then let them describe their experience of using words, images or another form of expression, etc. because the feedback which you will receive from the participants will help you to narrow down your appropriate options and help you heading in a right direction. So, for wrapping up finding a catchy, bright, and easy to remember a name for your app can make your app more successful as it contains a lot of thought which goes into picking the best name for your mobile app development. Besides this ideal name sets the right tone, clarifies the purpose and make it easy to rank and market your app. So, use these tips to generate name ideas and narrow down your selection.